As summer is coming to an end and fall is beginning you notice that everyone is making pumpkin everything. I think I’ve already had 3 pumpkin spice lattes in the last two weeks. 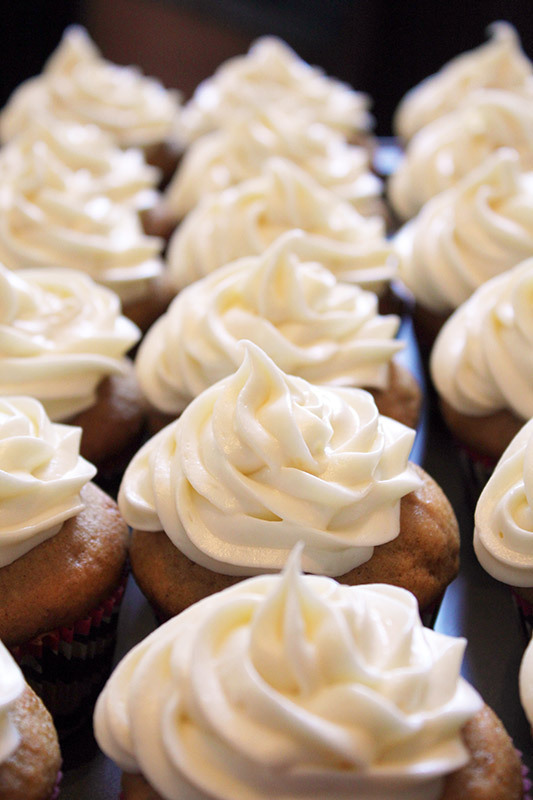 I love many things pumpkin, but one of my absolute favourites is pumpkin spice cupcakes with cream cheese frosting. They are the perfect pumpkin-y flavour complimented by pumpkin pie spice. Now you can go buy pumpkin pie spice but you probably have everything you need to make it yourself. It’s just a simple combination of ground cinnamon, ginger, nutmeg, allspice and cloves. I usually make this pumpkin pie spice recipe from www.annies-eats.com. 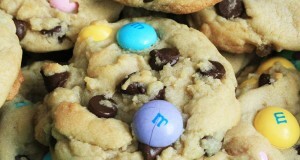 You can even go ahead and double or triple the recipe, keep it in a sealed jar and you’ll have it on hand all season. One important thing to note is that the frosting recipe makes a lot of frosting. I actually tripled the cupcake recipe to feed a party and made 1 recipe of the frosting and it was just the right amount. So if you only want to make 12 cupcakes (as in the original recipe) then I would halve the frosting recipe and it should still be plenty. Whisk together the flour, sugar, pumpkin pie spice, baking powder, baking soda and salt. In another bowl combine the eggs, pumpkin, buttermilk and oil. Divide between 12 paper lined muffin cups. 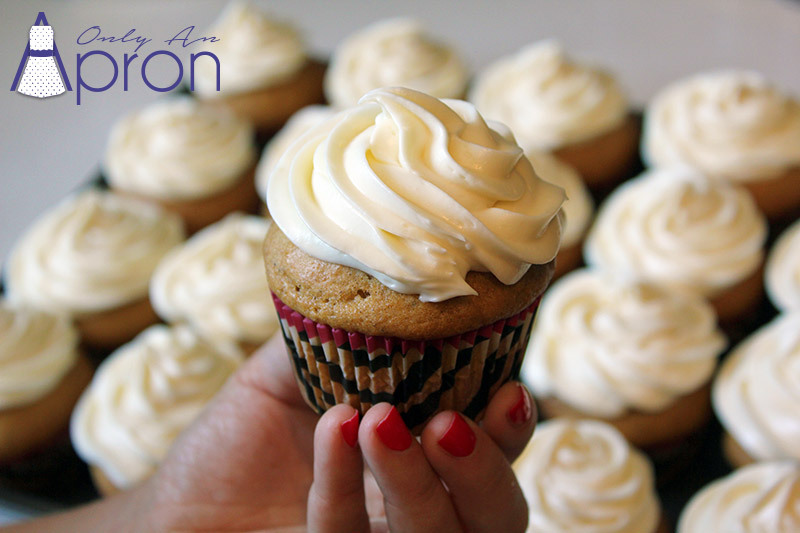 Bake for 20-25 minutes or until a cake tester inserted into the center of a cupcake comes out clean. Allow them to cool for a few minutes then remove them from the muffin tins to cool completely before frosting. 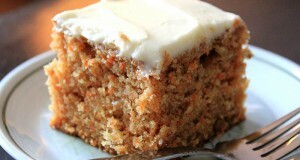 Using an electric mixer, beat the butter and cream cheese together until it’s smooth and fluffy, about 2 minutes. Add the powdered sugar 1/2 cup at a time, beating between each addition. Beat in the vanilla extract. 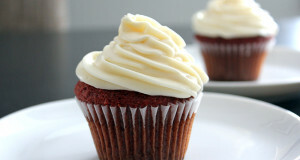 * This frosting recipe makes enough for a triple recipe of the cupcakes. 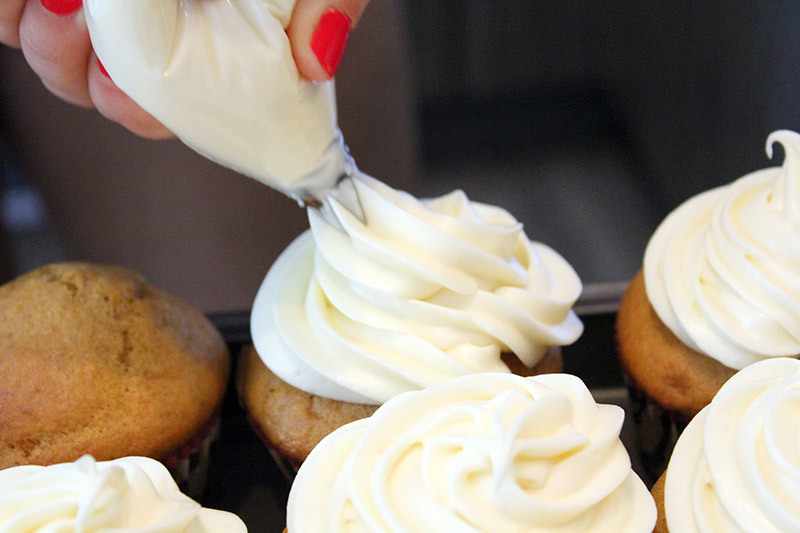 If you’re only making 12 cupcakes be sure to halve the frosting recipe. Cupcake recipe is from www.canadianliving.ca and the frosting is from www.browneyedbaker.com.